I have new items in my etsy shops! 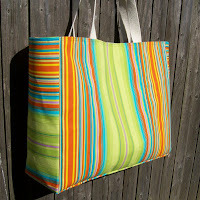 First, the Color Outside the Lines Market Tote. Not only is it roomy enough for lots of groceries, but it has a firm bottom for easy packing and a moisture repellent liner, so spills wipe right out. And, as promised, Chapter 2 of "The Date" story. If you need Chapter 1, check out the Wild in The Street Market tote under my sold items in my etsy shop, http://pandys.etsy.com. Then, in my other shop, GriffinGear, I have created the "Here I Am" line of hats and Tshirts....bright colors so that you can easily spot your children (big and small) at the beach, park, wherever! Just like "real" photographers, I did have a problem with a tempermental model. But, there are no labor unions at home, so he was replaced by his sister. 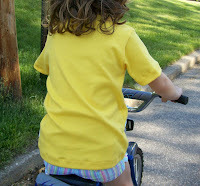 Check it out here http://GriffinGear.etsy.com.